No one had been through those doors in years. Unchanged, seemingly untouched, just a Guard watching over it, one wondered whether the place would ever see the light of day again. Built in the 70s by Scotch, there were only twenty such places in the entire world. Twenty studios, all identical. Most had undergone a digital makeover in the 80s, but not this one; situated in Lomé, this studio had stayed true to its original form. Silent and uninhabited but waiting for one thing, and one thing only: for the sacred fire to be lit once again. That of the Togolese Recording Office, is studio OTODI for those in the know. Through thick layers of dust, the console was vibrating still, impatient to be turned on and spurt out the sound so unique to analog. That sound is what Peter Solo and his band Vaudou Game came to seek out. The original vibrations of Lomé’s sound, resonating within the studio space, an undercurrent pulsing within the walls, the floor, and the entire atmosphere. A presence at once electrical and mystical sourced through the amps that had never really gone cold, despite the deep sleep that they had been forced into. 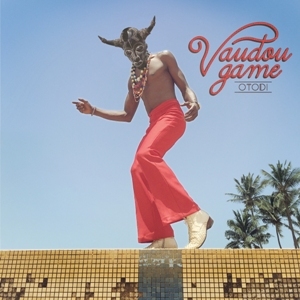 In taking over the studio’s 3000 square feet, enough to house a full orchestra, Vaudou Game had the space necessary to conjure the spirits of voodoo, those very spirits who watch over men and nature, and with whom Peter converses every day.